Have no fear, we are not in the path of the lava. We generate our own power and water. You will be safe with us! 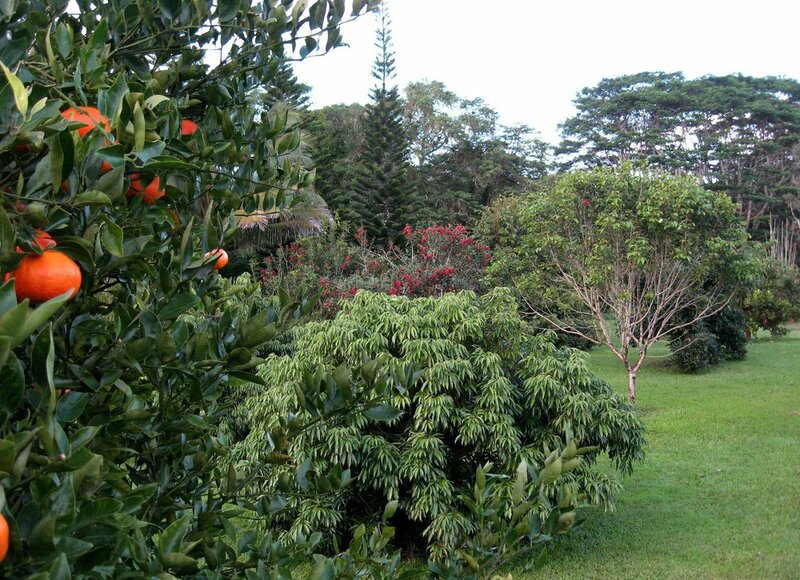 Your Hawaiian Retreat is a group of three exotic retreat and vacation rental properties located on an organic farm in the Puna District on the Big Island of Hawaii. The retreat center itself is affectionately call Elvira's Ohana House. The Mango House and the Avocado Tree House can be rented as part of your retreat or individually. It was created for groups of individuals who wish to come together for a common mission or for the solitary artist. It can serve as a retreat center for yoga or meditation practitioners, as a conference center for your business meetings and training seminars or as a family vacation destination. This is a great refuge for meditation, exploration, the spiritual minded, yogis, artists, teachers, farmers, bikers, family reunions, or just a good place to relax and get away. It’s your prerogative, we’ll leave you alone or smother you with a funky blend of southern hospitality and aloha. Elvira's Ohana House is fully self-sustainable as well and environmentally friendly. A state of the art solar energy system provides abundant power and rainwater catchment provides all your fresh water. The retreat center rests near a manicured, organic fruit orchard and is surrounded by delectable flower and vegetable gardens. Any house you choose to stay in will be far enough from one another that we do not need to impose noise restrictions. So come and sing, dance, hoot, holler, drum and HAVE FUN! Elvira's Ohana House rests on the slopes of the volcano at the edge of the rain forest, located 25 miles south of historic Hilo and 6 miles south of Pahoa. 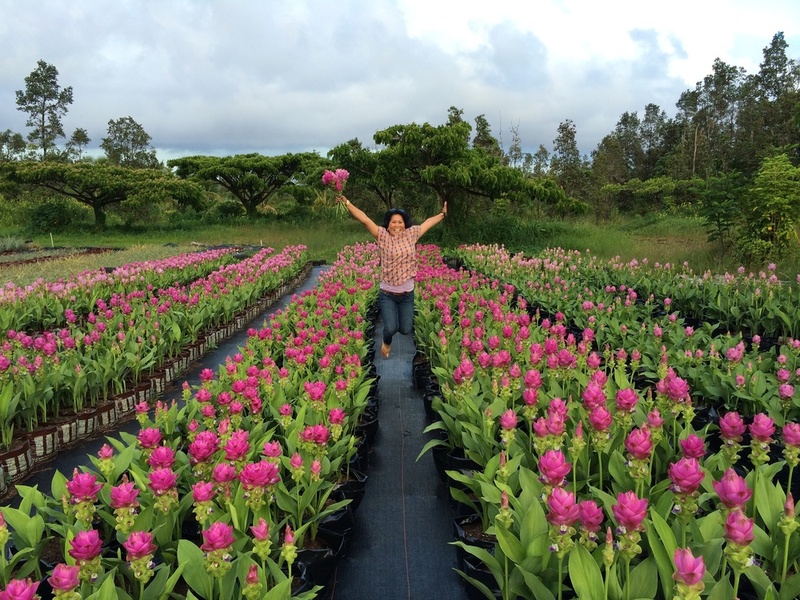 Pahoa offers a varied assortment of excellent eateries, a farmers market, a natural foods store, an Internet cafe and several small town churches. The ocean is only three miles away and is visible from the retreat and both cottages. On our coastal road you can snorkel, swim at Kehena Beach, enjoy Uncle Robert’s on Wednesday night, surf at Pohoiki or relax in the warm ponds. We also have free wireless internet and telephone service is available in the main house if you feel the need to tell others what they are missing! Please, wander around our web site for more information and photographs. Please feel free to email Elvira with any questions or reservation requests. See more reviews on our Facebook Page!